HONG KONG—Khalsa-A and KNS both logged high score wins in their opening matches of the new Premier season at King’s Park on Sunday Sept 20. 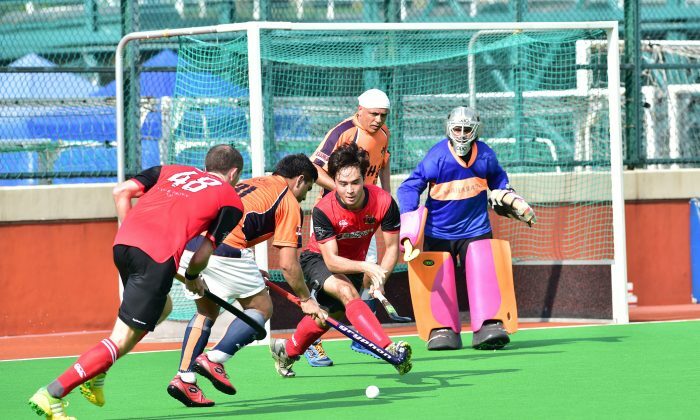 Khalsa defeated Pak-A 10-3, while KNS-A slotted eight goals past league newcomers HKU-A. Although it is not a surprise it sets Khalsa at the head of the standings on goal difference with KNS in second place. HKFC-A played HKFC-B side in the season opener at their home venue, and showed that they can put pressure on the opposition spending most of the game near the B-sides goal area, but with the B’s packing the defence the A-side had difficulty in hitting the net. The match finished 1-0 to HKFC-A putting them 3rd in the table. Another match played at the Sports Road venue was Valley-A against SSSC-A. This was a very even match and could have gone either way, but SSSC notched up a goal mid way though the second half and although Valley tried desperately to level the score they were prevented from doing so. The match ended 1-0 to SSSC-A. In the other match at King’s Park, HKCC-A took 3-points off KCC-A winning the match 4-2. In the games I watched, none of the sides looked in top form just easing their way into the season, no doubt in the coming weeks the skills and understanding between the players will be honed to a very high level. Punjab did not meet the registration deadline leaving 11-teams in the league instead of 12, each week one team will get a bye. Last weekend it was Shaheen-A that stood aside. The fixtures for this coming Sunday, Sept 27 are HKFC-B vs HKU-A, Shaheen vs HKFC-A (both to be played at HKFC), Pak-A vs Valley-A, KNS-A vs Khalsa-A and SSSC-A vs KCC-A. HKCC-A have a bye.